HOW TO USE A PENDULUM How to use a pendulum to seek inner quidence. Using a pendulum is an age old practice spanning through the ages. Pendulums can be used to tap into the your subconscious, as they help you to access your inner guidance. It is important to be calm and centered before starting to work with your pendulum. I have found that a simple centering meditation is a good place to start. Centering Mediation Start by paying attention to your breathing, breath in and out deeply and calmly, clear your mind of any thoughts. Now Imagine yourself in your favourite place, such as the beach or park. Visualize yourself sitting peacefully and observing your surroundings. If any thoughts come to mind imagine them transforming into clouds and disappearing over the horizon. Keep breathing deeply and when you feel relaxed and centered you can being working with your pendulum. As you get more used to your pendulum this will become easier and easier Connecting To and Using your Pendulum The first step in connecting with your pendulum is find out how it will moves for you. Hold your pendulum by the chain. Hold any excess chain in your hand. Let you wrist relax and allow the pendulum to come to a rest. Once it is at rest ask your pendulum to show you an answer for Yes. Pay attention to which way your pendulum moves. Your pendulum can move Forwards and Backwards, Left and Right, Clockwise or Anti-Clockwise. Everybody is different. Allow your pendulum to move freely and pay attention to how it moves for you. Once you have established an answer for Yes then ask your pendulum to show you the answer for No. This is usually the opposite movement to your yes answer. Practice using your pendulum until you are comfortable that you can get a clear yes and no answer. Once you have established your connection you can start asking your pendulum questions that you are seeking answers for. What Question Can I Ask? You can ask your pendulum any question you like, there are no right or wrong questions. Start with something simple and have fun. Remember to stay calm, centred and focused and try not to answer the question yourself as this may influence your connection with your pendulum and simply show you what you are think. This can be a fine line to walk, but with practice and honesty you will be able to decipher that which is from you and that which is an insight from your inner guidance. 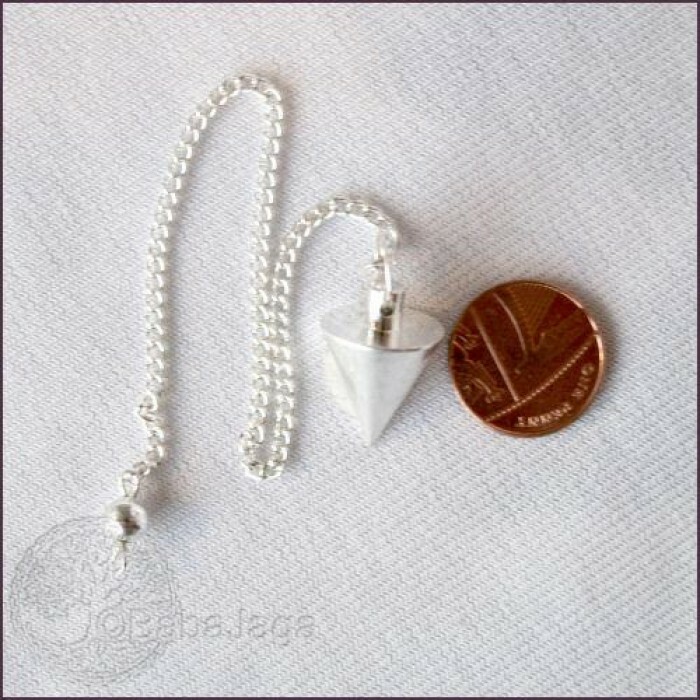 Choosing a Pendulum Pendulums are very personal and people often form very strong connections to particular pendulums. It is important to trust your instincts when choosing a pendulum. Go with a pendulum that feels right, that you are drawn to. Some people have a particular association with certain crystals and find a pendulum made of that particular crystal the right choice for them.